Complete the continuing education to renew your Washinton real estate license today. All of our courses can be completed At Your Pace online in order to help you maintain your license. Once you complete your class you will have an official certificate of completion available to print or save for your records. We are approved by the Washington Real Estate Commission to offer online CE courses (Provider # S1788). NAR Code of Ethics curriculum is mandatory for NAR membership renewal. It is eligible to be applied as elective continuing education only. A minimum of 15 clock hours must be completed within twenty-four months of the licensee's renewal date. For the first active renewal, licensees must take a 30 hour Advanced Practices Course, a 30 hour Real Estate Law Course, 27 hours of approved Continuing Education, and a 3 hour Core Course. The hours must be started after the date of first renewal. For subsequent renewals and managing broker renewals, all licensees must complete at least 30 hours of CE, 3 hours of which must be a Core Course. At least 15 of the hours must be completed within 24 months of your renewal date. For managing brokers the hours must be started after the date of licensure as a managing broker. AYPORealEstate provides education for subsequent renewals for brokers and renewals for managing brokers. Washington 30 Hour Real Estate Complete CE Package (Course ID: C11092, C11055, C11056, and C0034CORE1819) covers the full 30 hours you need for your renewal. Washington 15 Hour Core Package (Course ID: C11092 and C0034CORE1819) or Washington 15 Hour Elective Package (Course ID: C11056 and C11055) will cover the 15 hours you need to get within 24 months of your renewal date. You can also mix and match the smaller courses. Courses have incremental quizzes to test your knowledge along the way. They can be taken as many times as necessary in order to pass. 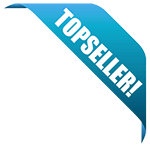 At the completion of the course you will complete a questionnaire providing us the information we need to create your certificates. Your course completion date/time will be the time this questionnaire is completed, so please complete this as soon as the course content is finished to insure your compliance. You will then have immediate access to your certificate(s) in pdf format to print, email, and/or save. Some courses have more than one certificate, make sure you double check all hours are shown on your certificate, if not, there is another certificate. The state does not require continuing education providers to report your course completion, just keep your certificates for proof of completion. This 30 Hour Real Estate Complete CE Package is approved by the Washington Real Estate Commission. It will meet all of your 2018/2019 Core & Elective Hour Requirements to renew your license. 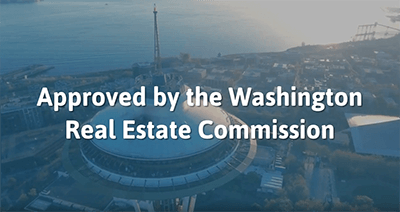 This 15 Hour Real Estate CE Package is approved by the Washington Real Estate Commission and will fulfill 3 credits of 2018/2019 Core & 12 Elective credits for your license renewal. This 15 Hour Real Estate CE Package is approved by the Washington Real Estate Commission and will fulfill 15 Elective credits for your license renewal. This 12 hour package of educational content is designed to provide Washington real estate professionals with an overview of important topics and concepts. This package covers topics such as ethics, errors and omissions, fair housing, agency, listings, leases, sale agreements, property titles, encumbrances, deeds, and the use and assessment of state taxes. This 8 hour package of educational content is designed to provide Washington real estate professionals with an overview of important topics and concepts related to the ownership and management of real property. This package covers topics such as basic property law, legal descriptions of property, land use controls, valuation of property, taxation of property, investment in real estate, property management, and the foreclosure process. This 3 hour course meets the 2018/2019 core requirement of your continuing education needed to renew your license. This course covers multiple topics related to the real estate profession in Washington, including recent federal and state legislation, as well as other significant changes and updates to the Washington state real estate industry. The above named course covers the followiung subject areas. This approval grants the Director the authority to have a member of the staff audit the school at any time and to review the records for possible violations of the rules and regulations set forth in Chapter 308-124H WAC. A RENEWAL NOTICE WILL NOT BE SENT. This approval grants the Director the authority to have a member of the staff audit the course at any time and to review the records for possible violations of the rules and regulations set forth in Chapter 308-124H WAC. A RENEWAL NOTICE WILL NOT BE SENT. The Department of Licensing has a policy of providing equal access to its services. If you need special accommodation, please call (360) 664-6505 or, for the hearing impaired, TTY (360) 753-1966.